Ok, let’s admit it. Some of you probably still have all your Christmas decorations on. Chances are you are either way too lazy, the ultimate procrastination queen/king, or—if you are anything like me—you just don’t want to move on. I know, the holidays are over, but I love the warm feel that the strings of lights give to my house. To help you get over your current Christmas decoration nostalgia, let’s try to focus on the next big holiday. 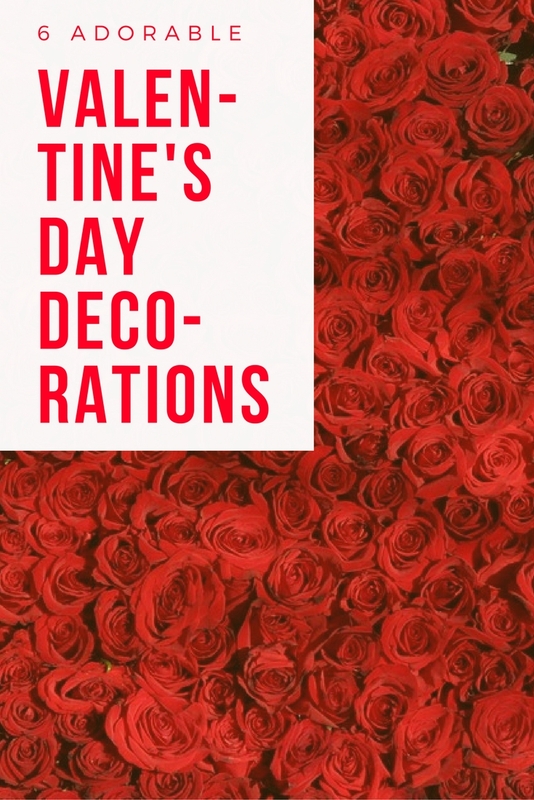 Valentine’s Day is just around the corner and—although you have quite a lot of love in your home already 😉 – a good bunch of DIY decorations is a very intimate way to express your love and— most importantly— linger the holiday coziness a little more. To help you keep the fire burning, here are some adorable decorative ideas your whole family will heart! If you are a brand-new DIY recruit, wreaths are the perfect place to start. They are easy to do, they don’t demand too many supplies, and they have a lot of potential. This colored burlap bubble wreath from The DIY Playbook is the perfect proof of it. Add a fun Valentine’s Day ribbon to hang it on your front door and you’ll have a lovely statement piece of décor in no time! Another little project you can dive in is this really easy, super cute Valentine’s Day ribbon wreath by Amanda from The Kolb Corner. If you are a true crafts lover, you probably already have on hand everything you will need—some wire, ribbons and tape—. And you know what that means, right? … FREE! I absolutely love garlands. They are a very cheery, festive way to add some fun to any room or event. The pretty pinks and reds in this Valentine’s Day fabric garland by Liz and Chanelle—which you could easily replace with ribbons— beautifully pop against a plain colored wall. Just find the perfect spot to hang it in your home and enjoy it! If you want to go a little bit extra, just throw some heart cards from your deck onto your garland. They go perfectly with the Valentine’s Day theme—of course—and they complement the color scheme beautifully. Heidi’s idea has me SO. IN. LOVE. So simple and, yet, so unique! I can’t believe I did think of this myself! Glad she did. Wall art, and hanging décor in general, is one of my favorite ways to theme up a space. Specially because—if good enough—they can be part of your everyday decoration scheme. Like this large floating faux flowers heart, by the girls at A Beautiful Mess. You can either buy your flowers at your local dollar store or—as we like to do—DIY them! Let’s shake things a little bit. No pink, red, purple, glitter of confetti involved. At all. This is, as Jesica from Classic in Gray says, a Valentine’s Day crafting miracle! A beautiful contrast to your traditional V-Day’s color scheme. Of course, you could add some pink sparkly yarn to this craft if you want to, but – in all honesty—I’m just loving the neutral vibes this wall hanging piece is giving me! Whether you intent to add a touch of Cupid to every room in your house, or gather a few key pieces for a Valentine’s Day dinner, these DIY ideas won’t disappoint. Ready to give up your Christmas decorations? Pick up everything you need from our online store and dive into the V-Day’s mood with these adorable crafts!